Jageshwar | Haldwani taxi and car rental services, Nainital | Hill Taxi. 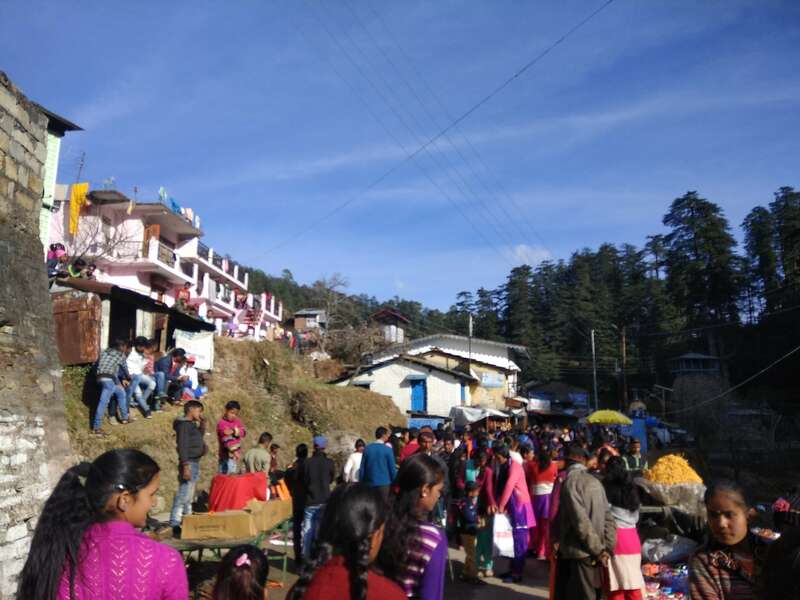 The town is visited by a number of people throughout the year as it a sacred place for the Hindus and is a perfect holiday destination to explore and refreshing the mind and the body. The place is also considered as a meditation center because of its fresh, calm and beautiful surroundings. 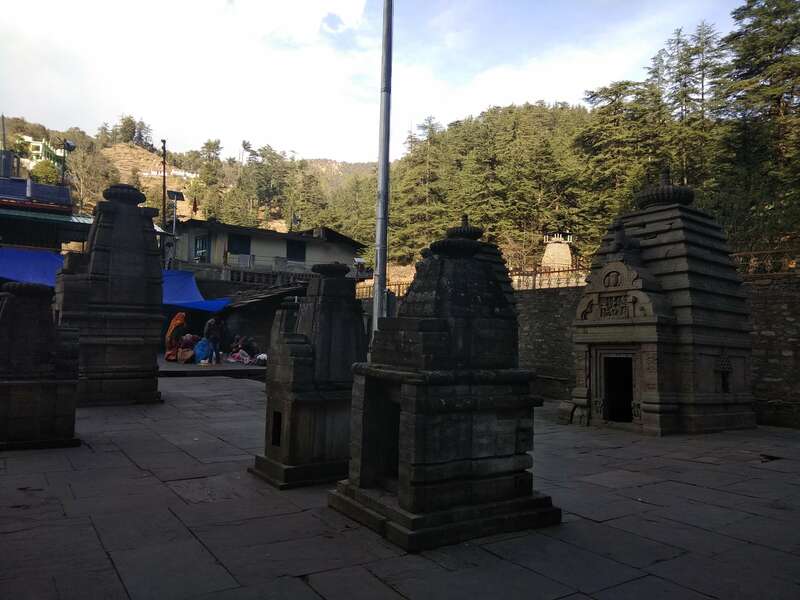 The Maha Mritunjaya Temple is the oldest and the largest temple in the Jageshwar Group. The temple is dedicated to Lord Shiva as it is believed to be a seat of the same. This is the only temple of Lord Shiva in Mritunjaya Roop. Constructed in the Pre Katyuri period, the temple is eastern facing and is considered to be one of the most important temples in the group. The temple consists of a Linga which has an eye shaped opening and 25 inscriptions on the exterior walls and pillars written in Sanskrit and Brahami.Linga is worshipped as a saviour from death and it is believed that chanting of Maha Mritunjaya Mantra is a powerful method of self realization, giver freedom from all kinds of fear, illness and negativity. 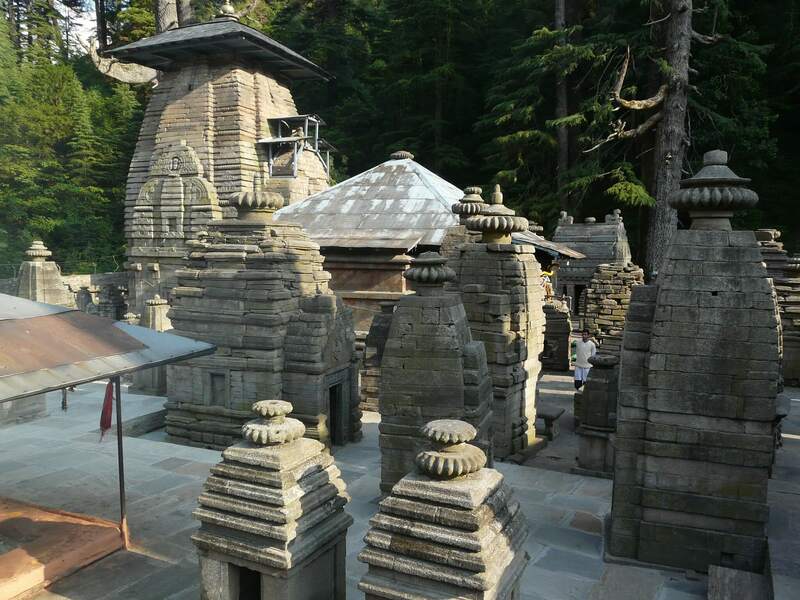 The Jankar Saim Temple is situated at the south in the Jageshwar main complex. The temple is primarly edicated to Jankar Saim who sent his Ganas to kill the demons who were obstructing Lord Shiva’s Tapasya. The word Dandeshwar is derived from ‘Dand’ meaning Staff and ‘Eshwar’ meaning God and hence it is believed that Lord Shiva resides in the very temple with his staff and keep a guard over the region. 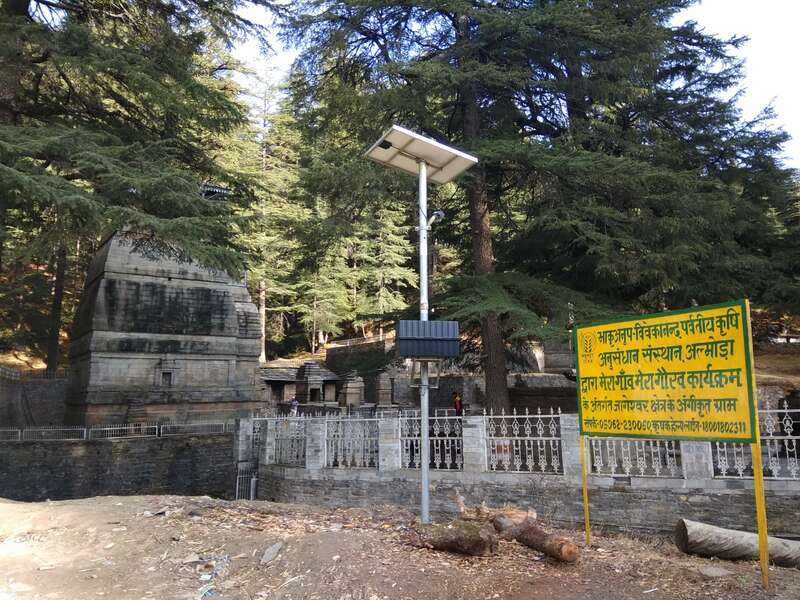 The temple is situated slightly upstream that is approximately 2 kms from the main Jageshwar Temple and can be easily reached on foot. The temple is in dilapidated conditions as many of the relics have turned into ruins. 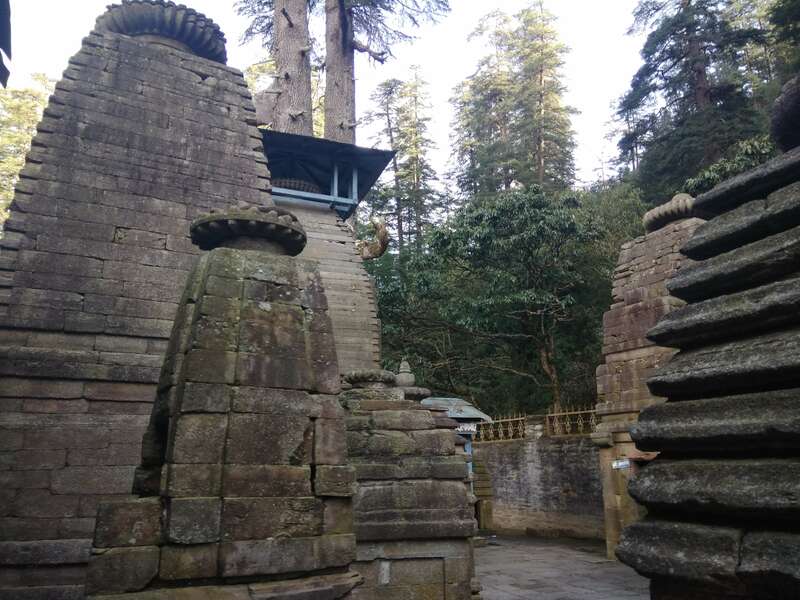 The temple is the biggest shrine and consists of a Stone Lingam which unlike the other temples of Jageshwar is a natural rock and is hence not carved. The natural rock makes it unique and depicts the local custom of worshiping god in its divine form. There are some carvings on the top of the dome and several small shrines in the premises. The river flowing underneath the premises provides a beautiful view. The Mirtola Ashram is situated in Mirtola, a village also known as Uttar Vrindavan approximately 25 kms from Almora. The Ashram was set by Sri Yashoda Maa who was a housewife turned ascetic in 1930 along with her disciple Sri Krishna Prem. This ashram was later run by his disciple Sri Mahadev Ashish. The village is also a house to a Radhe – Krishna Temple which was also built be Yashoda Maa. 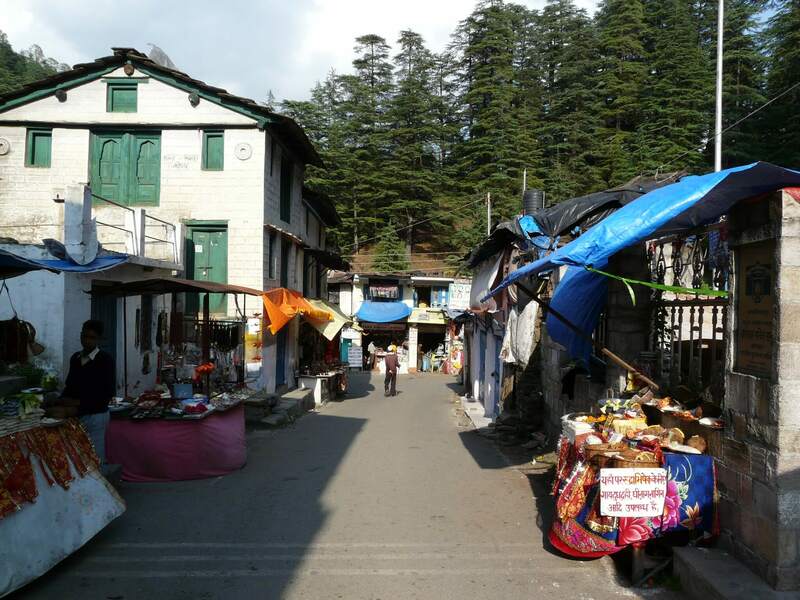 The Jageshwar Mahdev Temple is the main temple for which the Jageshwar town is famous. A lot of details about the temple has been listed in the introduction. 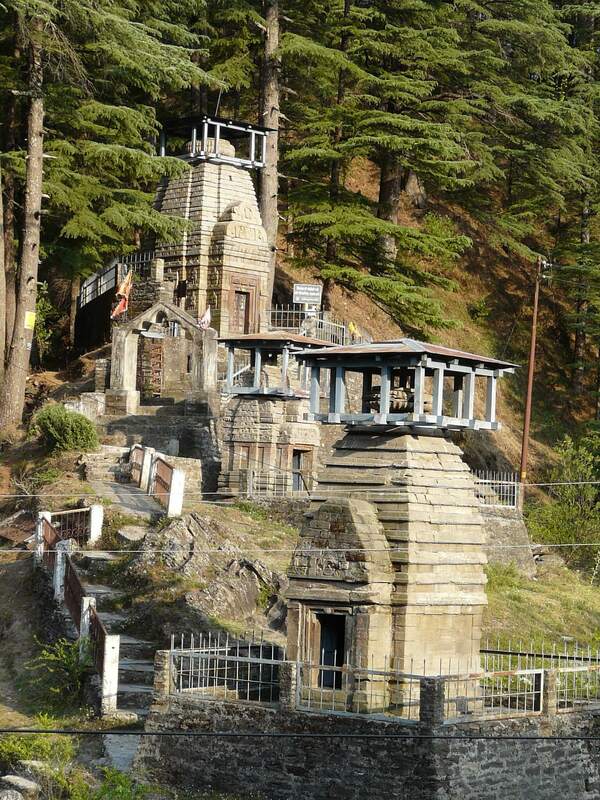 Jageshwar Mahadev Temple is primarily dedicated to Lord Shiva and is also the main temple amongst the group. The temple consists of two guard like statues at the entrance and with a huge bell. Inside the temple there is a Shiv Linga that is considered as a must to worship. Vriddha Jageshwar is an old form of Jageshwar, situated approximately 6.5 uphill from Jageshwar. 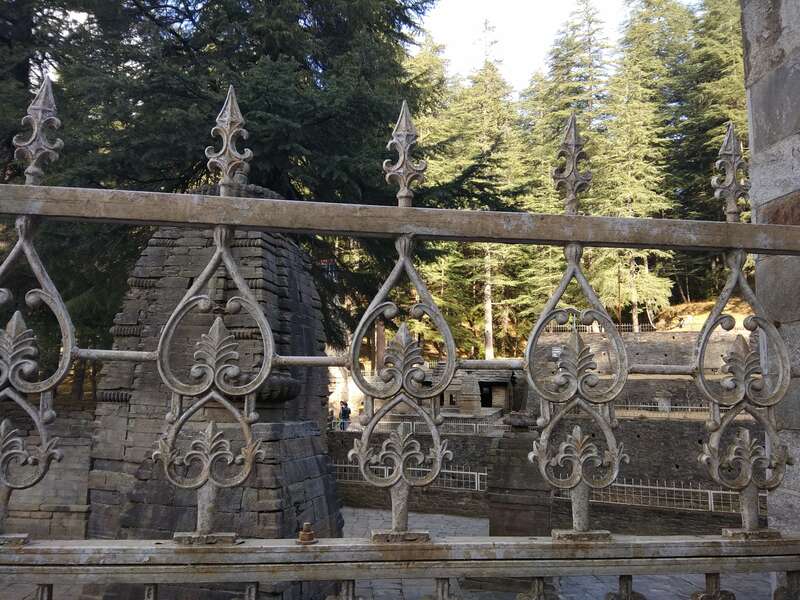 The temple is dedicated to Lord Shiva and is also known as Old Jageshwar as it was the abode of Shiva before he came down to the main Jageshwar. It is believed that Chand Kings of Kumaon constructed the temple after he won over a war. The place provides peace to the soul and is also a hub of beautiful views of the Himalayan Range. 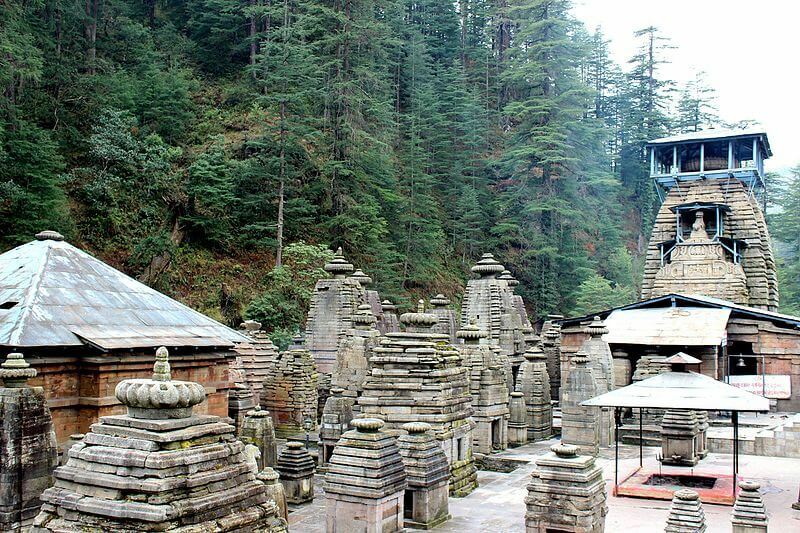 Lakulisha Temple is situated in the premises of the Jageshwar Group Of Temples. A small shiv linga inside the temple is dedicated to Lakulisha, who was an earliest teacher in Pasupata Philosophy and is considered to be the last avatar of Shiva. The reason there is a small Shiva Linga inside the temple is because not much remains of the original deity. 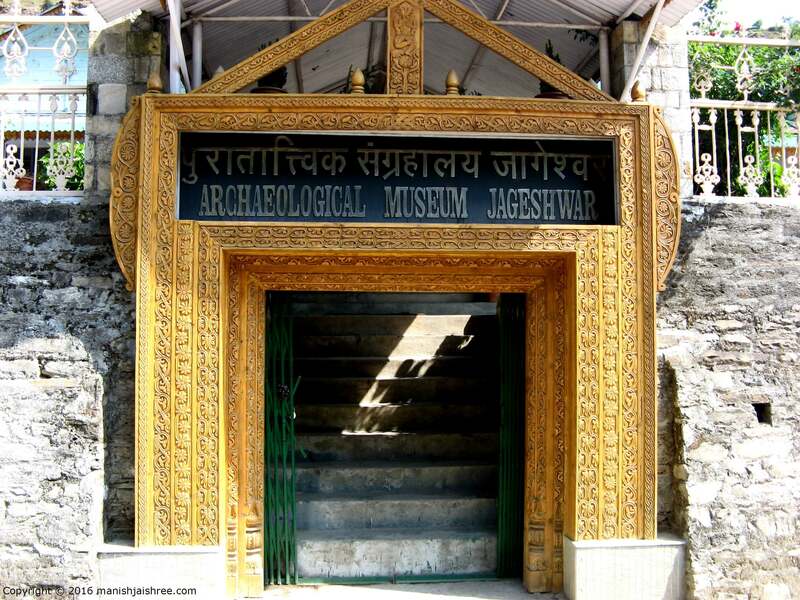 The Jageshwar Archaeological Museum is situated just about 0.2km from the Jageshwar Temple. The 1995 sculpture shed was converted into a museum in 2000. The museum is a hub of around 174 sculptures found in the temple region of Jageshwar, Dandeshwar and Kuber Group Of Temples and superb religious carvings dated between 9th -13th century. Museum has two galleries. There are 36 sculptures in the first gallery, kept in wooden pedestals and two show cases. The masterpieces of the gallery are Uma-Maheshwar, Surya and Navgrahas. The image of Uma-Maheshwar having flying celestials, fully ornamented Parvati is siting on the lap of Shiva. The beautiful sculpture of Surya holding lotus in both hands is fully ornamented. Arun (the charioteer) and seven horses are shown at lower side and the rare sculpture of Navgrahas having Surya, Soma, Mangala, Budha, Brrhaspati, Shukra, Shani, Rahu and Ketu are in standing posture. In the second gallery are 18 sculpture exhibited on the wooden pedestals. This gallery is having unique examples of Uttaranchal art as the Vishapaharanamurti (Shiva drinking poison) of Shiva, Kevalamurti and four armed Chamunda with emaciated body, shrunken belly, protruding ribs and veins, sunken eyes and holding munda in her left hand are the faithful representations of the art of this region. The central hall of the museum has been constructed to display the main attraction of the region known as “Pona Raja” sculpture and other valuable sculpture of the Jageshwar region. The beautiful sculpture of “Pona Raja” belong to the local king or cult and highly popular and respected one in the region. Admission to the museum is free and opening hours of the museum are from 10am to 5pm and it remains closed on Friday. The Jagganath Temple is situated in the Jageshwar premises and is famous for a highly impressive image of Ganesha and life sized dwarpals. The temple is situated in the Jageshwar main premises and is dedicated to goddess Pushti Devi. The temple enshrines full murti of the goddess and is located towards extreme rights of the complex, jut behind mahamrityunjaya temple. Jageshwar Monsoon Festival: The festival is celebrated during Shravan that is in the month of July and August. The festival is generally celebrated between 15 July to 15 August. Maha Shivratri Mela: The festival is celebrated in the early spring on the occasion of Shivratri, that is in the month of January or February. Vaibhav Laxmi Tourism provides a cab to travel from all nearby areas as well as from Delhi. Give us a chance to make your trip memorable.